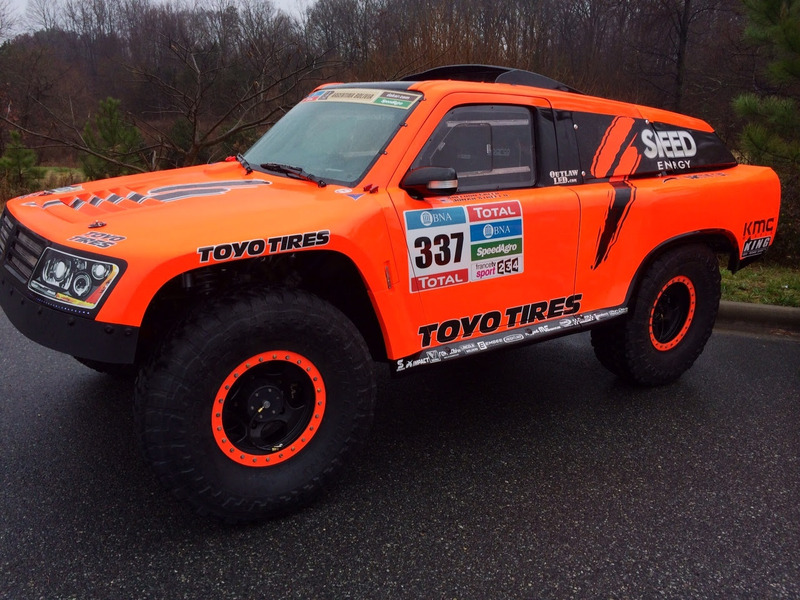 Charlotte, NC (December 15, 2015) – Robby Gordon and Team SPEED are returning to compete in the 2016 Dakar Rally in full force with Two super car HST Gordini’s contending for the overall win. Gordon will drive his familiar bright orange #312 SPEED Energy/Toyo Tires/ TRAXXAS entry; while 2015 Stadium SUPER Trucks Champion, and X Games Gold Medalist Sheldon Creed, joins the team and will be the youngest competitor into a Dakar Rally piloting a similar looking #337 SPEED Energy/ Toyo Tires Gordini. Both race vehicles will rely solely on Toyo Open Country tires to deliver the maximum Off-Road performance, and durability needed to tackle the 13-day challenge; 5,739-mile (9,237 KM) through the extreme terrain of Argentina and Bolivia. Gordon, a Dakar fan favorite is no stranger to the event making 2016 his 12th start. Since the first in 2005, Gordon has gone on to capture 12 stage victories, with five top 15 overall finishes. By capturing the overall third place podium in 2009, Gordon became the first American in the history of the Dakar to capture a stage win and overall podium finish, even as a manufacture. Joining Gordon in the cockpit of the SPEED Energy/Toyo Tires/Traxxas Gordini will be previous 3-time Dakar navigator, and veteran Baja co-pilot, Kellon Walch. “Kellon has been very involved in all our test sessions throughout 2015 as well as the Baja 500 and Baja 1000. The in-car communication and mechanical skills between the both of us is some of the best I have ever had for the Dakar.” stated Gordon. For the first time since 2012, Team SPEED will enter an additional racecar in the Rally with 2015 Stadium SUPER Trucks Champion and X-Games Gold Medalist, Sheldon Creed making his first Dakar start. 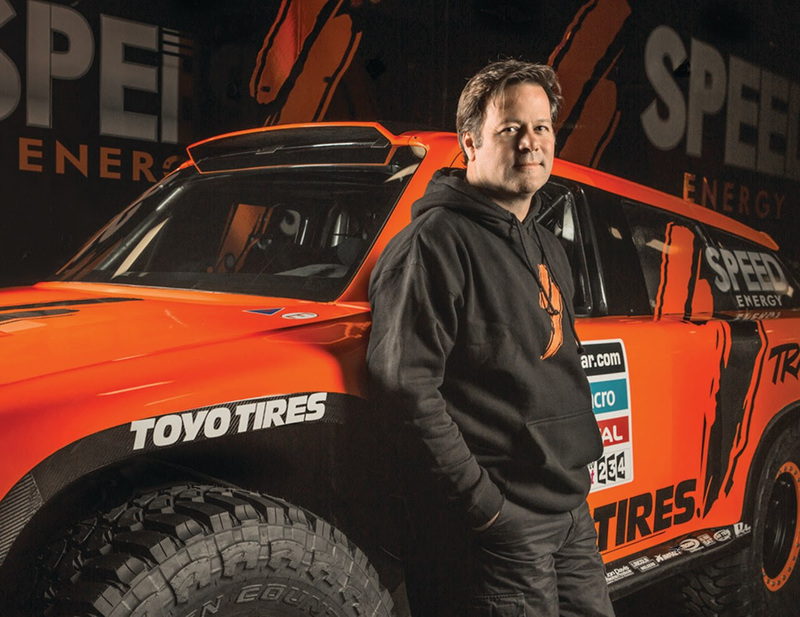 Creed, who will be recorded as the youngest competitor in the 36-year history of the world famous rally will join veteran Dakar competitor Robby Gordon and Team SPEED to drive the vehicle that captured the final special of 2015 with sponsor support from SPEED Energy and Toyo Tires. “Being a teammate with Robby for Dakar is an absolute dream come true. I’ve gotten to know him super well over the last few years, and I have seen how much hard work he puts into his Dakar program. Out of all drivers that I could have the chance to be teammates with, this is a true honor to be able to learn and test my driving skills against some of the best in the world under the watchful eye of a Dakar great,” Creed said. As a Southern California short-course off-road racing phenom Creed boasts an impressive racing resume for an 18-year old, capturing 12 previous off-road championships, and staking claim to a season record 11-SST victories in 2015, including taking home the 2015 X-Games gold medal. Jonah Street, a motorcycle veteran whom has competed in six prior editions of the Dakar (2006-2012), will try his hand at navigating for the first time sitting along side of Creed. “I think Sheldon is really talented, so getting to work with him in his first trip to Dakar is going to be awesome. I have watched him race this past year and he looks great!” Street commented in regards to competing with Sheldon. Beginning on January 2nd in Buenos Aires, Argentina competitors will gather in front of hundreds of thousands fans for opening ceremonies, along with a short qualifying stage that will set the starting positions for the following day. From Buenos Aires competitors will be led West on narrow gravel roads and paths through forests and fields into the extreme elevations of the Andes Mountains North into Bolivia where competitors will be turned around, and head back South to Salta, Argentina then East to the finish in Rosario on January 16th.